The story begins when Hiromichi Kojima, the star batter of the fictional Lycaons in Japan's Pacific League, heads to the southern Japanese island of Okinawa to train and bring himself out of a slump. 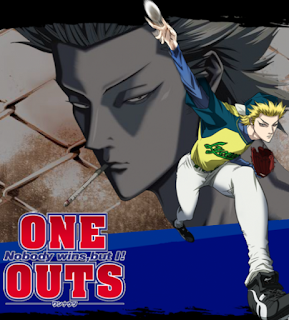 There, he meet Tōa Tokuchi, a 134-kmph (83 miles per hour) pitcher and the undisputed king of a gambling form of baseball called "One Out." At Kojima's urging, Tokuchi signs up with the Lycaons under an unusual contract: he gets 5,000,000 yen (about US$46,000) for every out he pitches, but loses 50,000,000 yen (US$460,000) for every point he gives up.